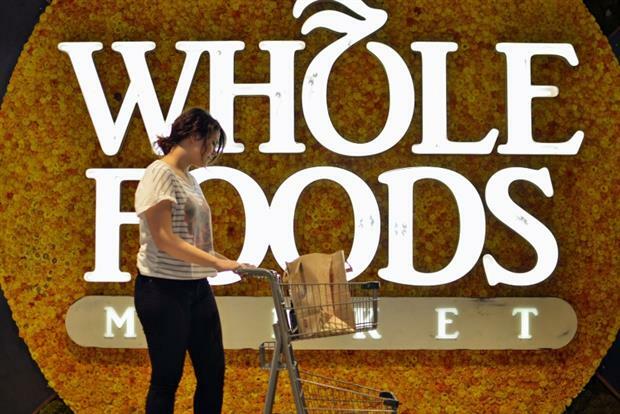 Amazon has announced an immediate round of price cuts at Whole Foods Market, the high-end food retailer it reached a deal to acquire in June. The $13.7bn (£10.7bn) deal will close on Monday after it received approval from Amazon’s shareholders and US regulators. The tech giant showed it would not hang around in using its new network of physical stores to gain a foothold in the grocery market, announcing that prices on a series of staple products would be cut on Monday, "with much more to come". The initial price cuts will come on products including organic avocados, animal-welfare-rated 85% lean ground beef, and creamy and crunchy almond butter. Whole Foods has more than 400 stores in the US. It is a small presence in the UK, with just nine stores – seven in London, one in Gloucestershire and one in Scotland. But any sense of increased competition will be unwelcome news for the UK's "big four" supermarkets – Tesco, Sainsbury's, Asda and Morrisons – whose market shares have taken a hammering over the last five years, thanks largely to the rapid growth of discounters Aldi and Lidl. Alongside the price cuts, Amazon announced a series of integrations aimed at maximising the commercial value of the acquisition. Following technical integration, Amazon Prime is set to become the new loyalty program for Whole Foods shoppers. The brand’s own-label products will become available through Amazon’s online channels, and Amazon Lockers will be introduced to some Whole Foods stores. Jeff Wilke, chief executive of Amazon Worldwide Consumer, said: "We’re determined to make healthy and organic food affordable for everyone. Everybody should be able to eat Whole Foods Market quality – we will lower prices without compromising Whole Foods Market’s long-held commitment to the highest standards. "This is just the beginning – we will continuously lower prices as we invent together. There is significant work and opportunity ahead, and we’re thrilled to get started." The news wiped $11bn off the value of rival US retailers, including Kroger, Sprouts Farmers Market, Target and Walmart, the Financial Times reports.